« Is a Cedar Shake Roof Right For You? Proper roof maintenance should be done every spring if you want to keep your home protected and put off the expense of roof replacement as long as possible. While some people who own homes can tackle these projects on their own, professionals are always a great option for people without the know-how or for those who are scared of heights. The first step in proper spring roof maintenance is to check for any damage that occurred during the harsh winter months. Get outside and walk around your entire house to look for shingles, scraps or nails on the ground first. Also, look up to check for any obvious damage to the roof or gutters, and indications of water running down the walls under the roof. 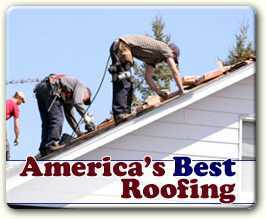 You should also check the lower parts of the roof, such as those over porches or garages, from upstairs windows. This allows you to see problems more clearly without actually getting on the roof and risking more damage or injury. Visit the attic and inspect the entire roof from underneath. Any sign of water getting through means there is a serious leak problem that could contribute to unhealthy mold or mildew growing inside your home. Check areas around pipes and conduits especially for signs of rotting wood or rust on metal screws or nails, too. This is also a great opportunity to make sure no animals got into your attic and are chewing or scratching the wood holding your roof up. Signs of insect damage such as sawdust or holes in the wood must be taken care of promptly. March winds bring April showers, and April showers bring backed-up gutters and pooling water at the edges of your roof, which leads to leaks and possibly rot and mold. Get out the ladder and carefully climb up to remove fallen leaves, branches, and seed pods from all the gutters around the house so they do not clog the downspouts. 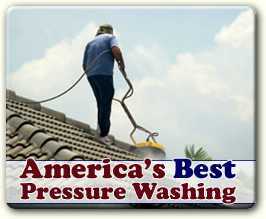 Also, check for small particles of asphalt shingles, broken pieces, or nails. These are all signs that your roof has been compromised or is wearing out too much. 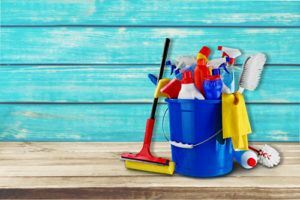 Spring maintenance may seem like a do-it-yourself project for a handy individual, but the roof is very high and can be very dangerous for someone not trained to walk around at those heights. If you see any signs of leaks, deterioration, moss, or mold, your best option is to call a professional roof repair team right away. For peace of mind and prevention of expensive future problems, having a skilled and experienced roofer do a full inspection and maintenance on your roof every spring is a great idea. This not only will keep your family safe, protect everything you own in your home, and give you confidence, but can also push the need to replace the whole roof back by a few years.